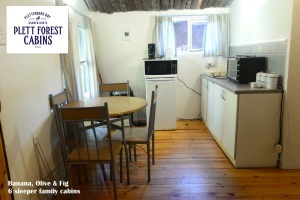 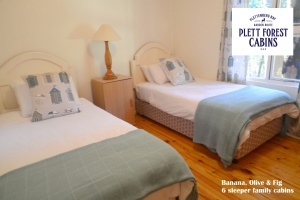 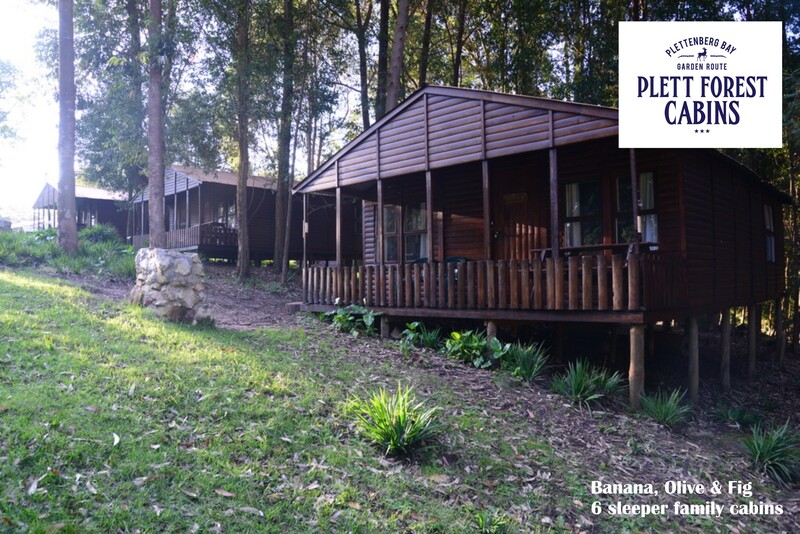 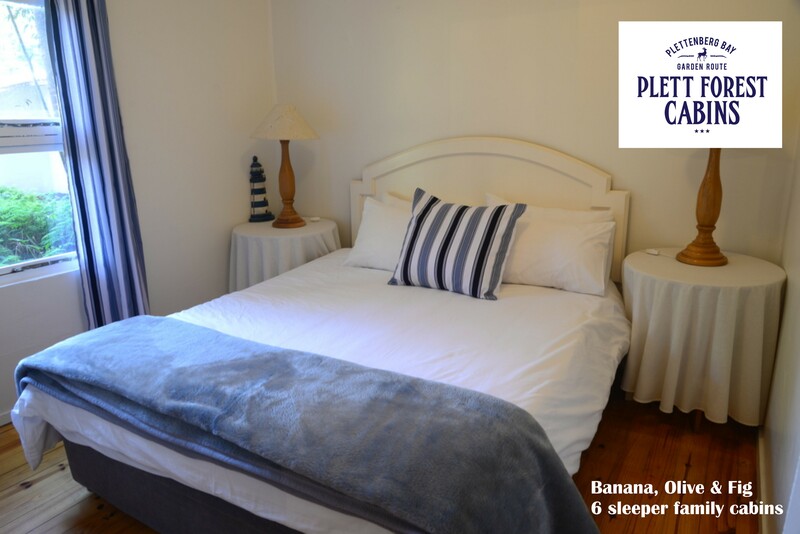 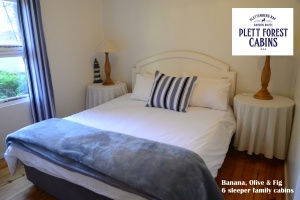 Banana, Olive and Fig are our private self-catering 2 bedroom cabins nestled in front of the forest. 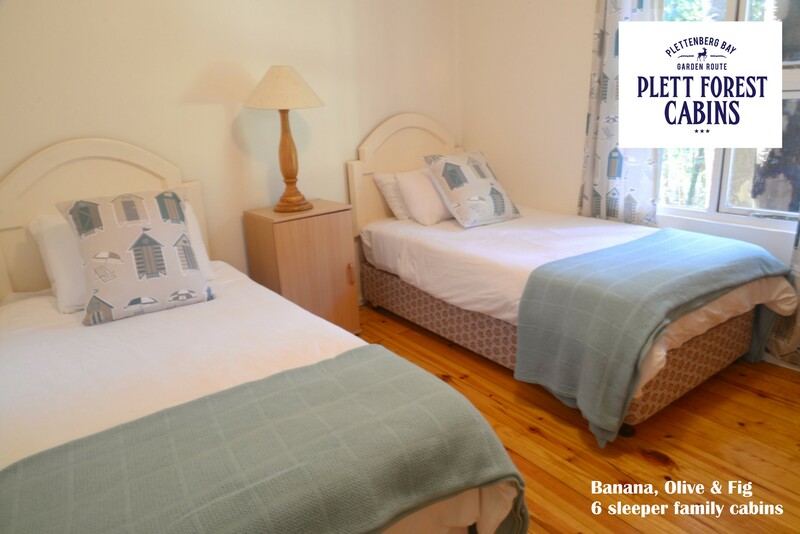 Each have a bedroom with a queen size bed and a bedroom with 2 x ¾ beds, both share a bathroom with a Jucuzzi bath. 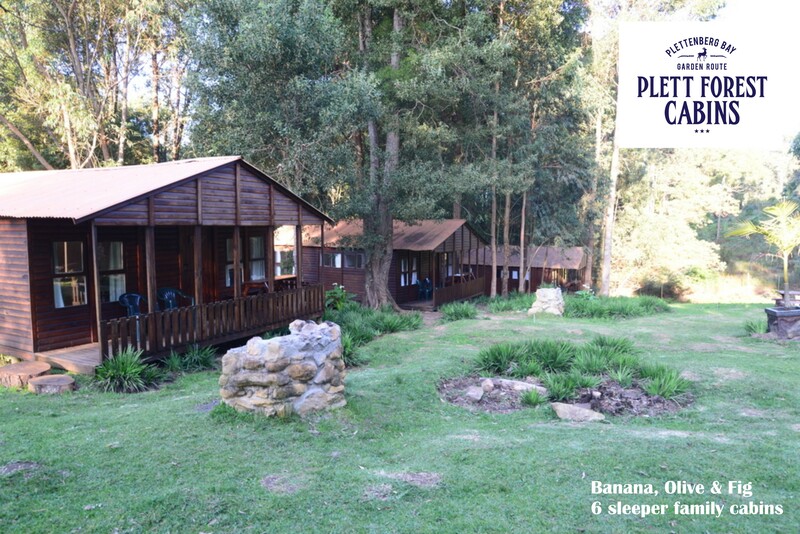 The road running in front of the property was gravel, during 2016 the road was tarred and to accommodate the widening of the road we sadly lost 40 trees that blocked the property from the road. 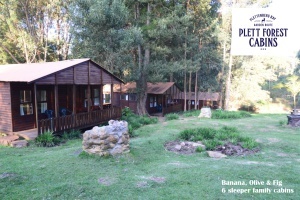 We have subsequently planted 147 trees around the property and hope they will soon grow to replace the trees that we lost. 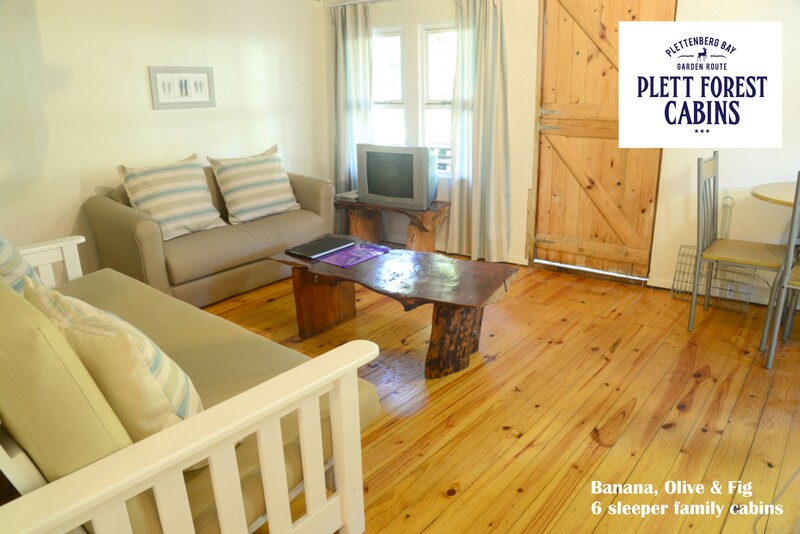 A full size sleeper couch in the lounge is for extra guests. 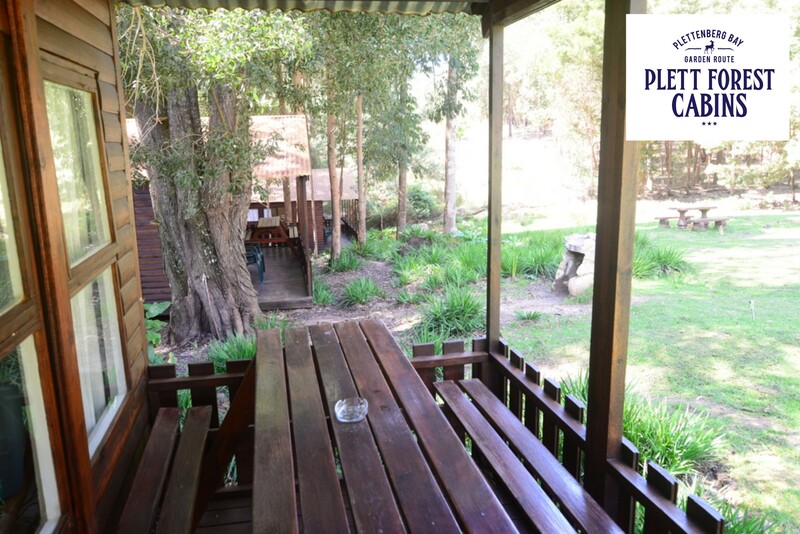 Each has a deck with seating and outdoor braai facilities, braai grids are supplied.